Tech at Night: We need FCC reform. The government that wants to regulate the Internet can’t even Fax. 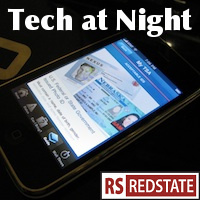 Tech at Night: No, people still don’t care about privacy. The FCC attacks competition. Tech at Night: People don’t care about Do Not Track. Verizon the target of a coordinated campaign? Bitcoin and Tor are incompatible with liberty and order. It’s funny how Democrats talked back in 2008 about openness and transparency, but they continue to obstruct Greg Walden’s FCC reform on those two principles. Doubly funny that now they oppose lawsuits, when they generally favor lawsuits when it’s NGOs suing EPA to push a greater left-wing agenda. Remember, the same government that wants to regulate the Internet and in fact all innovation can’t even handle faxes properly. So beware when the unreformed FCC is stalling on auctioning spectrum, despite Congressional orders to do it. I suspect the plan is to rig the auctions to favor some firms over others. Oh look, more slow dribbling releases from Edward Snowden in foreign publications. This isn’t following the pattern of a concerned whistleblower. This is the slow leaking of someone wit a hostile agenda. We don’t even know what’s true or false here at this point. I continue to say that rhetoric pushed by big box retailers poisoned the well on the poorly-named Marketplace Fairness Act. Any sales tax reform is going to have to start over, modestly, without bringing in non-sales tax states. Trust must be earned from the people who felt burned last time.